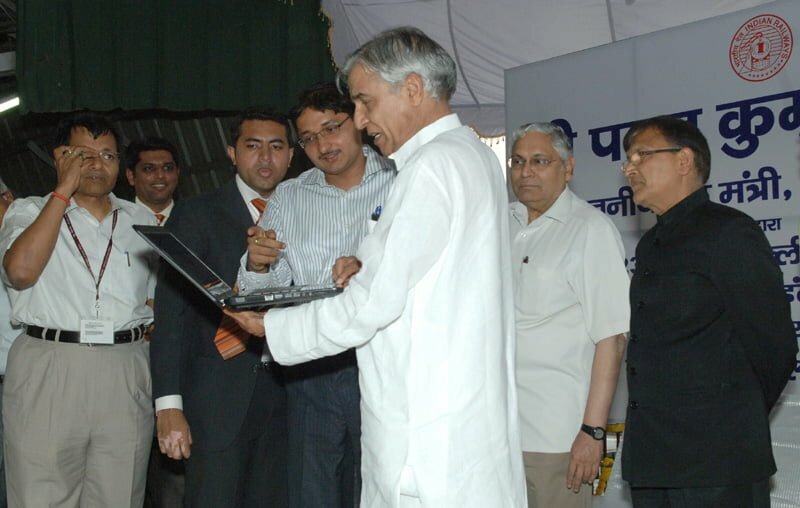 Minister of Railways Pawan Kumar Bansal today launched FREE Wi-Fi- facility in moving trains starting with the New Delhi- Howrah Rajdhani Express and fifty other trains are expected to be connected this year with4 Mbps download speed and 512 Kbps upload speed. However, individual users may get much lower speeds because this bandwidth will be shared by all the passengers on the train. Critical communication applications like email or online transactions will be given top priority while Video downloads and gaming would be last, if there is a crunch on the bandwidth/Internet speed availability. For accessing the FREE WiFi Internet facility, the passengers will have to access Indian Railway Wi-Fi network. The passengers will be able to register by providing the PNR number, Government ID (Voter ID /election card, Aadhar etc) and other details like mobile number etc. On validation of the data entered by the passengers, as per extant DOT guidelines, the Login ID and Password will be sent through SMS to the registered mobile number. The Login ID and Password will remain valid for entire journey.